Helen and Kirk's wedding was an emotional day! 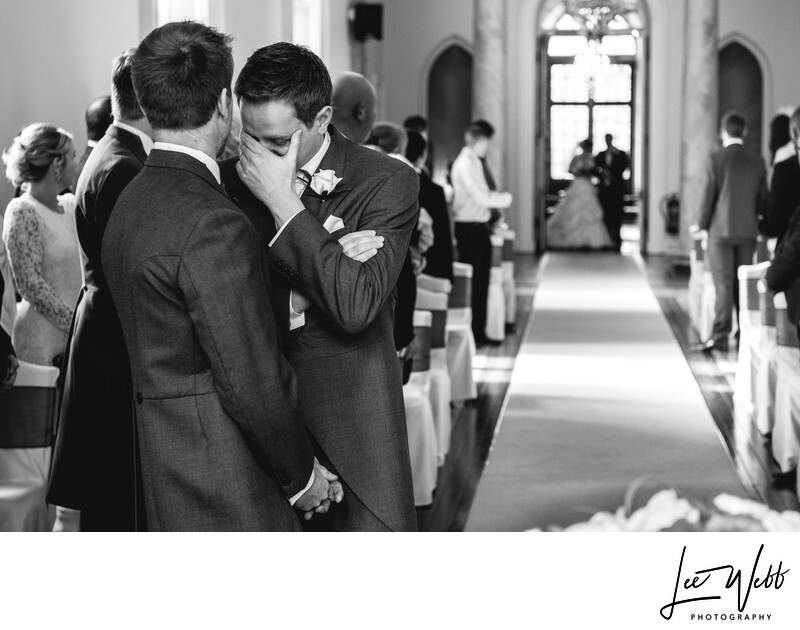 Most of that emotion came from the father of bride but raw emotion always makes for the best wedding photos! Clearwell Castle is an amazing wedding venue set in the Forest of Dean, Gloucestershire. Winner of the prestigious British Wedding Awards 'Best Wedding Venue' in both 2016 and 2017, Clearwell Castle provides the perfect fairy-tale backdrop for your dream wedding. Clearwell Castle's ballroom is the setting for both civil ceremonies and wedding receptions, and boasts a massive 75 foot central aisle! 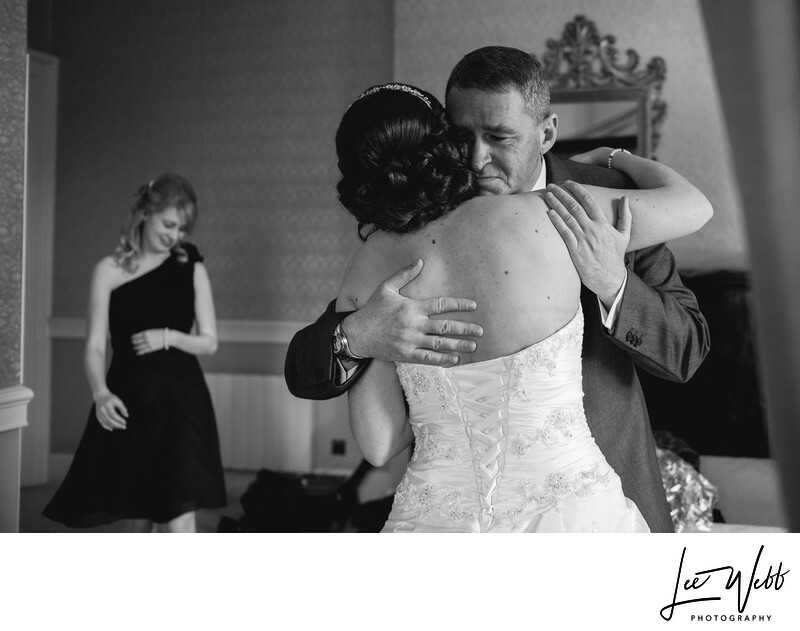 The father of the bride, pictured in the top image, provided a wealth of emotion laced photos from Helen and Kirk's wedding. Whilst giving away his daughter and during his speech, he really struggled to keep his emotions inside. I love black and white for these types of image. Removing colour allows you to focus in more on the imagery at the heart of the scene. Another favourite image of mine from the same wedding at Clearwell Castle is this one, again featuring the father of the bride! 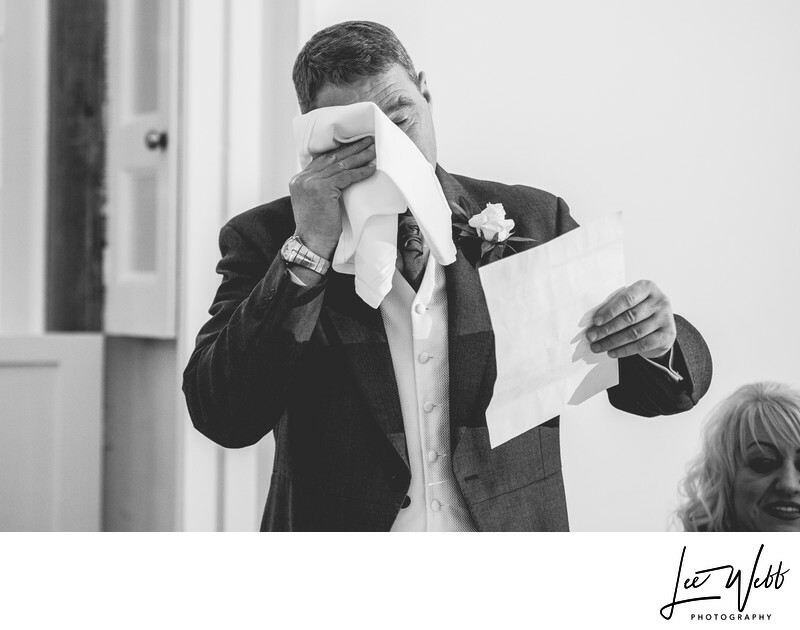 This image shows his reaction to seeing his daughter for the first time on her wedding day. I composed this wedding photo in such a way that you could see both the emotion on the father of the bride's face, as well as the smile of the maid of honour in the background.